Every day our customers ask how they can improve their performance — in terms of speed, throughput, reliability and predictability. As we head into the holiday season, those calls come with increased urgency. Businesses turn to Rackspace to help them get their new offers to market faster and to scale their users, data and transactions to meet the upcoming holiday rush. Hybrid: We combine the public cloud, private cloud and dedicated servers along with a wide portfolio of complimentary products and services to deliver the best-fit building blocks for your applications. Open: Open means more than just open source, which as the founders of OpenStack® we take very seriously. Open means choice. It means flexibility. Being able to use the technologies you need to reach your performance goals is an outcome of our philosophy around open. Knowing that our cloud products are both built-with and optimized-for open means never having to compromise on how you build and deploy your applications. Fanatical: The final key component to helping our customers perform is our award-winning Fanatical Support, delivered by Rackers who live and breathe this stuff every day and whose expertise helps each customer build, architect and scale the best solutions for their specific needs. One frequent request we get is from customers who run their workloads on a group of dedicated servers or on a private cloud and need to burst their capacity, sometimes by magnitudes of 10 or more, for a certain period of time. Bare-metal dedicated servers or private cloud give customers stable, predictable performance and full control of the security of their environment. They are great for stable workloads, but it takes time to add or change the physical footprint when business needs change. These are simple examples of how our customers are using our hybrid, open and Fanatical approach to meet the performance needs of their users and their business. There are many more in the Knowledge Center and you can call us any time for advice. 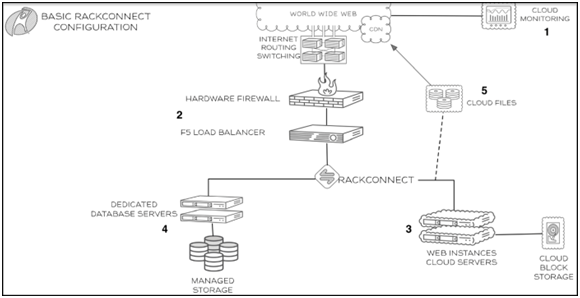 The only question left to answer is: how can Rackspace help YOU perform?